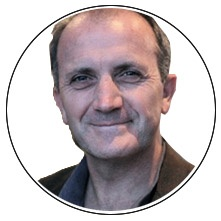 Tim MacDonald is a pragmatic visionary who comes to OneAccord with over 25 years of senior management experience. He has served in small, medium and global companies as president, vice president of sales and vice president of operations. Most recently, he started his own business. Tim founded Chrysalis in China, partnering with multinational corporations (MNCs) in the areas of supply chain, operational excellence and distribution across a variety of sectors including chemical, automotive and fast-moving consumer goods. Their clients include Bosch, Cargill and Coca-Cola. Prior to his work in China, Tim served 18 years with Luxottica — the largest eyecare company in the world — working with brands such as Ray-Ban, Oakley, LensCrafters and EyeMed. Tim served in several senior leadership roles in operations, client services, marketing and sales. He carried responsibility for sales and relationship management with several global firms such as Hewlett Packard, Home Depot, JPMorgan Chase, KPMG, Intel, PwC, IBM and many others. Tim's accomplishments include exponential growth and bringing struggling companies back from the brink. While serving as regional vice president of a national healthcare company, he and his team grew sales from less than $5 million to over $100 million in new sales by opening up fresh channels and disrupting market control of their chief competitor. When he took over as president of an underperforming manufacturing and distribution company that had been losing money for eight years, he brought it to breakeven within a single year and achieved profitability within two. Tim’s international management experience includes work in Mexico, Colombia, Philippines, Hong Kong and Germany. He received a bachelor’s in international relations from Bethany University, Santa Cruz, CA, and conducted graduate studies in business administration at Arizona State University. While living in Ohio, the MacDonalds began a nonprofit organization called New Oaks Community which transformed a former Civil War-era orphanage into an adoptive community for families committed to the fostering and adoption of children. Tim is married to Kristan and they have four children: Taylor, Kate, Morgan and Cameron.